Painting fences can be a messy and time-consuming job; yet it does not have to be. The trick is in the preparation, using the proper supplies, and having a good plan for getting the job done. To paint fences like the pros, homeowners can follow the few simple tips referenced below and have a great looking painted fence in no time, along with the satisfaction of a job well done. Before painting any kind of surface, including fences, it should be cleaned. Start by scraping and sanding off any old and flaking paint or stuck-on dirt, then wash. Pressure wash fences, or use scrub or wire brushes, to remove all of the dirt and grime so paint goes onto a clean surface. Then let the fence dry a few days to ensure there is no moisture to prevent the paint from sticking to the fence. Tape and cover latches, hinges, and other areas that should not be painted. To protect the area around fences and reduce cleanup efforts, prepare the area ahead of time. 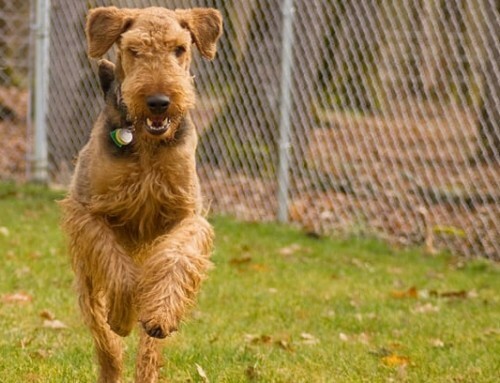 Mow the grass under and around the fence and trim long grass close to the posts so they do not get in the way. Before beginning the actual fence painting, spread newspapers, drop cloths, or plastic under and around the fence to catch any drips. When using a spray gun, cover nearby cars, windows, plants, and anything else that could be oversprayed with fine paint. There are many paint and stain options for fence painting, so be sure to choose the right one based on the type of fence and the desired look. Wood fences can be painted with paints, stain, and sealer, all of which are available in different opaque colors and tints. 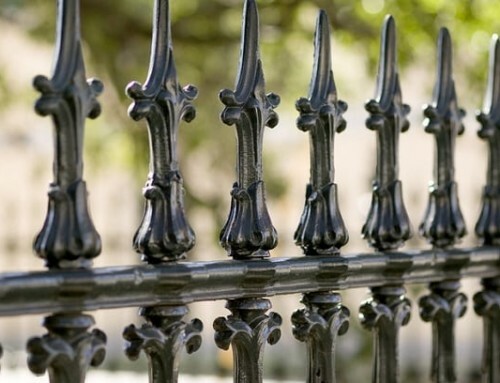 Iron fences can be painted with exterior paint formulas made for use on metal, such as enamels, epoxies, and oil-based paints. Understanding the qualities of each paint formula, such as how long it lasts outdoors; how long it takes to dry; and the type of cleanup involved can help when making a decision about which type of paint to use. After choosing the paint, purchase the appropriate brushes for that paint, or consider purchasing or renting a paint sprayer. Smaller fences can even be painted with spray paint in a can; however, larger jobs should be done with spray guns for speed and the most even coverage. Choosing the right day for fence painting is just as important as choosing the right paint. The best day to paint a fence is a dry day, with low overhead sun or a decent cloud cover, and low or no wind so dust, dirt, and grass clippings doesn't blowing around and stick to the newly-painted fence. Start painting when no rain is in the forecast for a few days and leave plenty of time for the fence to thoroughly dry, so paint will coat well. 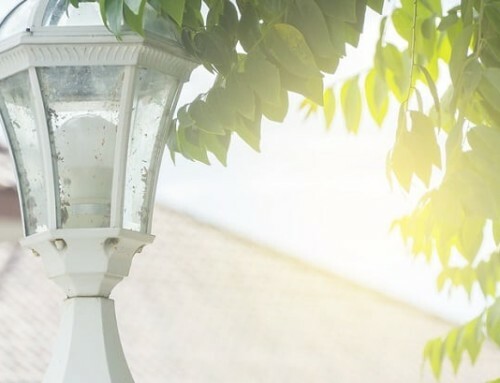 Avoid days that are extremely hot, or when the sun is strong, since this causes the paint to dry too quickly and reduces some of its weatherproofing properties. By using this simple step-by-step approach, homeowners can easily master the task of prepping and cleaning, which means painting the fence can be completed more quickly. Painting fences like the pros is easier than ever; so by following the previous tips, beautifully finished fences are what homeowners should expect! Looking For Fence Painting In College Station TX? College Station Fencing - The Fencing Pros! 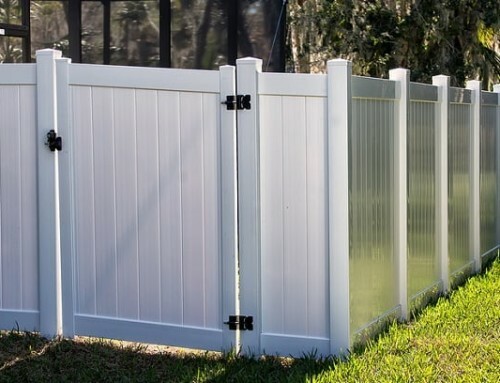 By |2019-04-16T17:06:34-05:00June 22nd, 2016|Fences in Bryan Texas|Comments Off on Follow These Tips To Paint Fences Like A Pro!